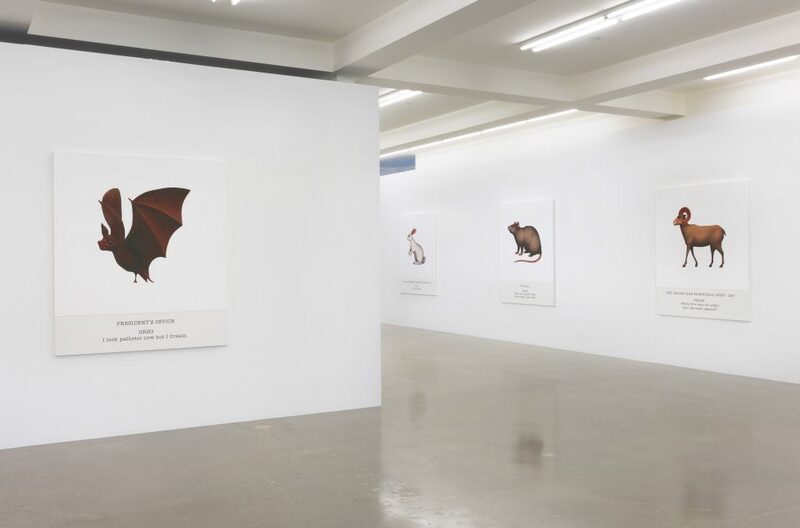 Sprüth Magers has exhibited John Baldessari for almost three decades, and is pleased to present his second solo show at the Los Angeles gallery. 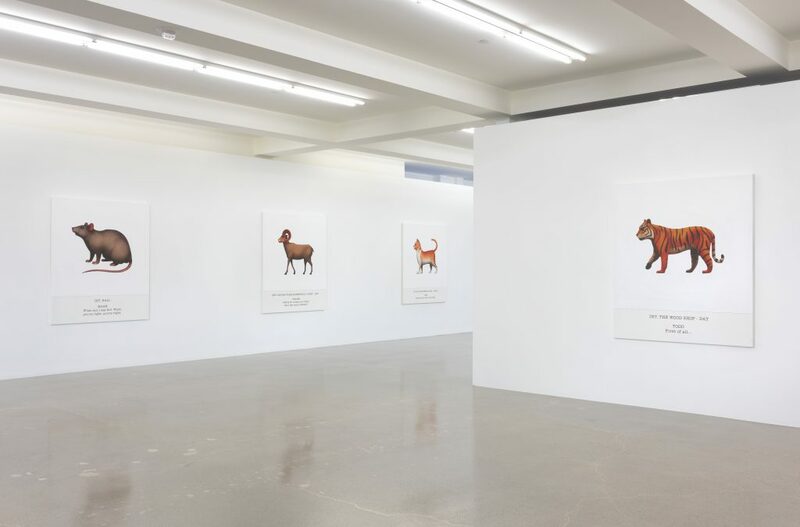 The exhibition features twenty-seven works from Baldessari’s new series of large-scale paintings based on the ubiquitous Emojis. 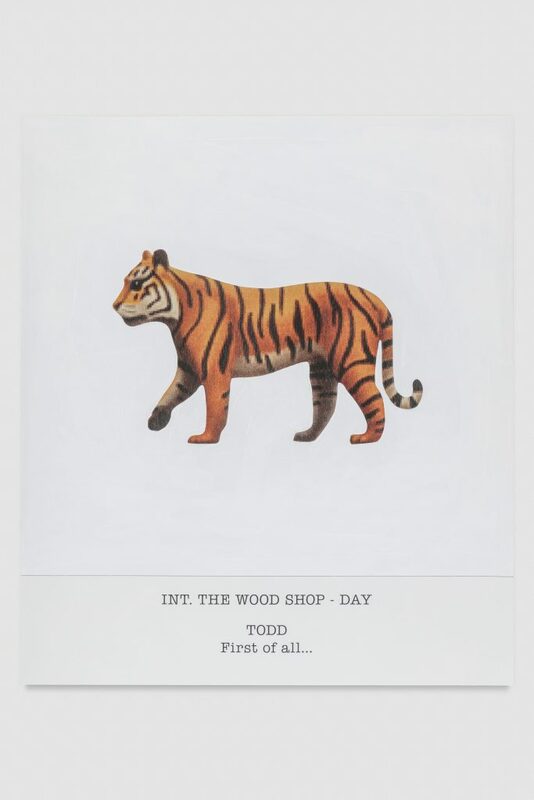 John Baldessari’s name is synonymous with the art scene in his native West coast. His career as a highly influential artist and venerated teacher has spanned over fifty years and includes a diverse oeuvre of painting, photography, sculpture and video. 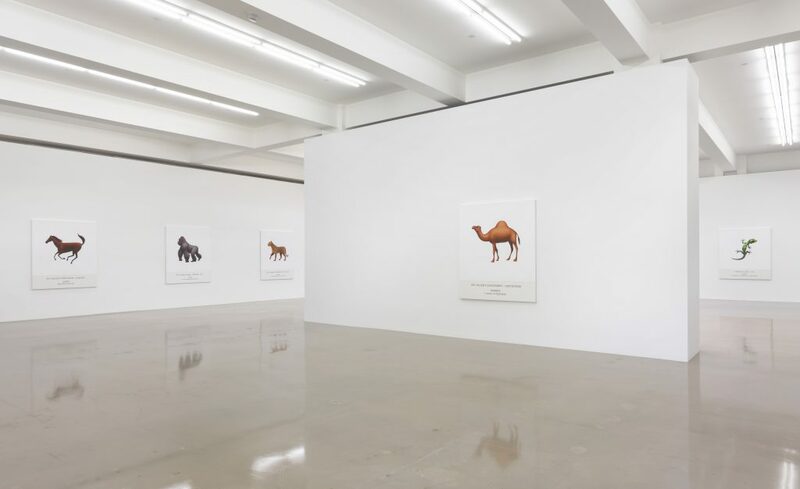 From his earliest text paintings in the late 1960s to his more recent ‘storyboard paintings’, Baldessari has always reveled in the playful dislocation between text and image, expanded here in this most recent body of work. Created earlier this year, the Emoji paintings focus on the increasingly complex ways in which we exchange and interpret information in everyday life. Emojis’ are a pictograph-specific keyboard that features glyphs in categories such as ‘smileys and people’, ‘animals and nature’, ‘food and drink’, ‘objects’, and ‘flags’. They are increasingly used as a form of electronic communication, but their equivocal nature means that issues of context and cultural specificity often complicate their interpretation by recipients – it is this theme that the artist explores in his paintings. 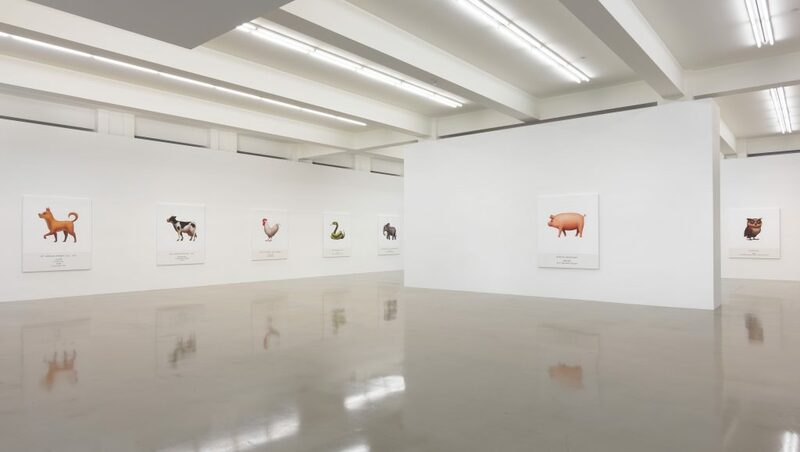 Inkjet prints of animal Emojis such as a tiger or pig dominate large canvases that are painted over in acrylic. Below each picture plane, typed snippets of dialogue from movies appear to caption the icons, although it is difficult to find any connection between them. In one work, a gecko appears above what seems to be an extract from a theatrical text. 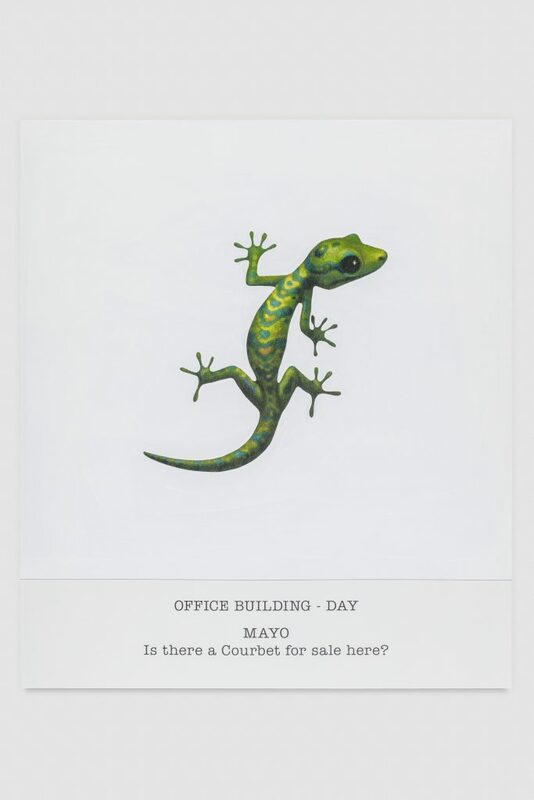 The scene description is ‘OFFICE BUILDING – DAY’ in which a character named ‘MAYO’ asks ‘Is there a Courbet for sale here?’ This disjunctive composition activates a wry and thought-provoking combination of visual and written language that allows alternative narratives and interpretations to flourish in the viewers’ imagination. 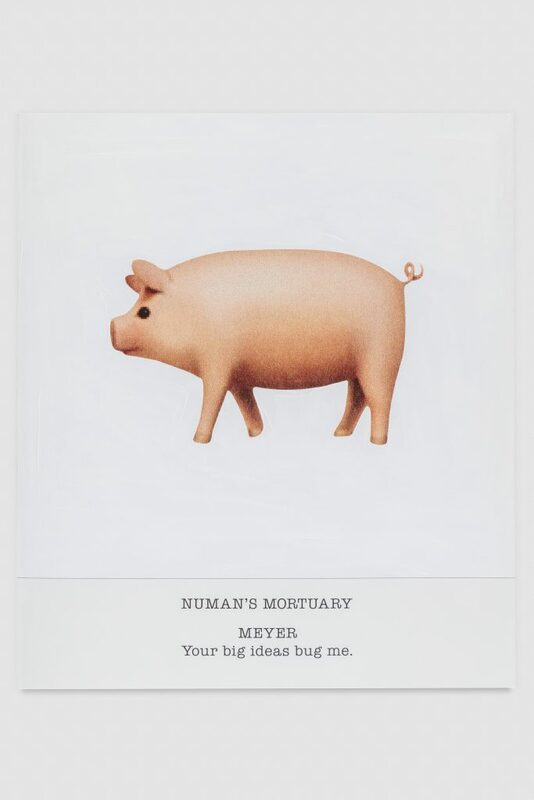 By focusing on the plurality of potential meanings that underpin contemporary forms of communication, Baldessari’s new series of paintings interrogate both the ambiguity, and cultural-specificity, of the Emoji with pictures that are as un-singular and indefinable in meaning as the icons themselves.